Welcome to Emeu Inn Bed & Breakfast. We're celebrating over 150 Years of bed, breakfast and bountiful holiday-making! If you're seeking to explore the excellent food, wine and delights of Heathcote all you need is a supremely comfortable place to rest your head...and explorer's feet. 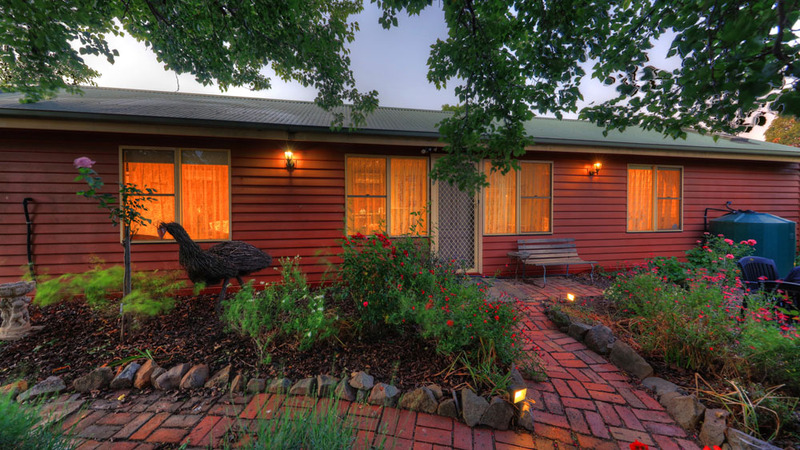 Our delightful bed & breakfast is the perfect accommodation choice. Enjoy a relaxing time in this award-winning B&B, located in the main street. This old miner’s pub has been restored to provide a romantic and indulgent experience. The spacious suites are comfortable and homey, the garden welcoming and quiet. Join us for a peaceful weekend away or for one of our lively festivals or events. There’s something for everyone. And bring your best friend along. Dogs are welcomed in one suite and the Cottage. Don’t miss out!